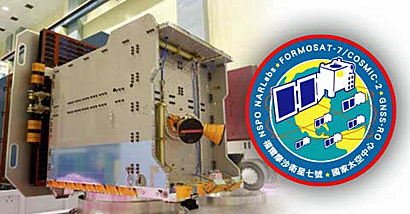 The U.S. National Oceanic and Atmospheric Administration (NOAA) and Taiwan’s Ministry of Science and Technology (NSPO) have agreed to cancel their plans for a second set of next-generation GPS radio occultation weather satellites after determining the joint project faced an unwinnable battle to secure funding, according to an article appearing in the FRESH NEWS online infosite. COSMIC-2, also known as FORMOSAT-7, was originally planned to feature two sets of six satellites to collect GPS radio occultation data that is used in forecasting the weather. An initial set of six satellites — known as COSMIC-2A — have already been built and are scheduled for launch via a SpaceX Falcon Heavy in early 2018 as part of the U.S. Air Force’s Space Test Program 2 mission. The satellites measure signals from GPS and other navigation satellites as they travel through the atmosphere, probing temperature and humidity conditions with that data then fed into weather forecast models. GPS radio occultation data is among the best sources of data for improving the accuracy of forecasts according to several studies.